They have forsaken Me, the source of life-giving waters, to dig wells that cannot give water. In a world filled with nationalistic pride, where nations, ethnic groups, and individuals are all searching for their historic roots, it is nothing less than mind-boggling that a people who has an unparalleled wealth of recorded and documented history and literature would so ignore its rich heritage. What do most Jewish children know about their people? Only a fraction receive more than a fragmentary awareness of Jewish history. All can identify Twain and Poe, but few know Maimonides or Yehudah HaLevi. They are likely to know much about Nathan Hale and even Simon Bolivar but have never heard of Rabbi Akiva and Bar Kochba. They may remember the Alamo, but not Massada. Why do we so despise ourselves? Where is our pride? How can we expect our youth to develop a sense of self-esteem if by our own dereliction we fail to convey to them a justified sense of pride in who they are? We do not need to drink at others’ wells. Our own is filled with sweet, life-sustaining water. do whatever I can to further Jewish education both among adults and children. As a Christian, you may think it strange that I support Jewish education. It’s not that I don’t support Christian education, but after all, my three children are Jewish and they should know what it is to be Jewish, to know their history, to study the writings of the learned sages, and to cleave to what it is to be a Jew. But as Rabbi Twersky points out, even many Jewish children raised by two Jewish parents today hardly know who the Rambam or Hillel were, much less are able to discuss even one single lesson they taught. In my children’s case, that’s my fault for a number of reasons, not the least of which is that I’m not a Jewish father. Also, my wife and I came to faith rather late in life, when our children were already growing up. First we went to a church, then to a “Messianic” (One Law) congregation, then we split the difference with me taking the kids to the local Reform shul and my wife worshiping elsewhere (it’s a long story). Finally, I set my course on Christianity (albeit with an unusual expression and emphasis) and my wife on traditional Judaism. But my kids are all adults now. 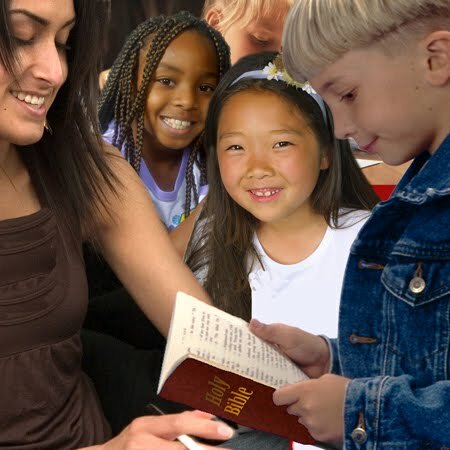 I remember that when my wife and I first started attending a church, we were not yet believers (I guess the church called us “seekers”), but we sent our kids to Sunday school and the church youth group to help them get a more focused moral center…one that we as parents did not yet share. Horrible mistake. Grievous error. You can’t teach your children morals and values by proxy. In the Sh’ma, which we read every day, the verse instructs us to learn Torah ourselves and teach it to our children. In fact, a person can expect to be successful in transmitting God’s laws to his children only if he himself learns as well. If he makes no effort to acquire Torah knowledge, how will he have the ability to influence and to lead his children along the right path? Only when there are those who inherit the Torah’s teachings can these lessons in turn, be passed down to the next generation. Torah can only be fulfilled when we are willing to exert ourselves directly and personally in its ways. We must demonstrate the importance of Torah learning by setting an example that others might follow. By merely stating ideals, these goals will not be reached. This lesson in Sh’ma is one of great importance, so much so that we must reinforce it twice each day. I remember meeting with the Youth Pastor at the church we attended at the time and I asked him what I had to do to encourage my children in their “Christian walk.” He gave me essentially the same answer, although worded with more of a Christian “spin.” Most parents with any sort of wisdom at all realize that our children will almost never do what we tell them to do if they see we are not living examples of our lessons. They will however, always watch what we do and our behavior will become their teacher. I believe the answer is easy: it is impossible to truly STUDY the Torah and remain in the One Law position. I apologize in advance to those who will be offended. But the One Law position is based on a lack of study of Torah. The One Law position makes the same basic interpretive error which is common in Christian readings of the Hebrew Bible. 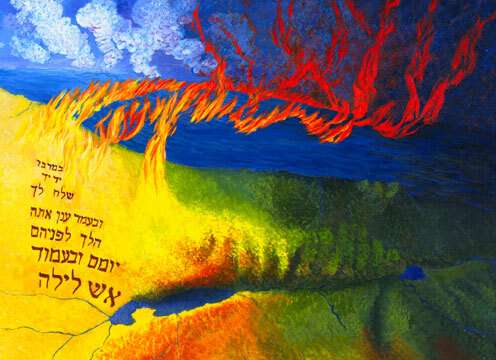 People see themselves in Israel’s scriptures by direct substitution. So God says, “And now, O Israel, listen to the statutes and rules,” (Deut 4:1) and One Lawers think, “This is speaking directly to me.” They skip entirely the question: this is what God commanded one nation at Sinai and I should study to determine what my relationship is to these commandments. This is exactly the same as Christians reading Jeremiah 29:11 (“I know the plans I have for you…”) and making it a poster in the youth room as a promise to themselves. Never mind that it was addressed to Israel. What we need is more study — deep engagement — context — thought. So studying Torah…really studying Torah for a Christian, is as much about understanding the role of the Jews in relation to God as it is about understanding who we are as Christians in relation to Jews. Although there are venues for Christians to study Torah, somewhat rarely in a traditional synagogue settings, and a bit more commonly through resources such as First Fruits of Zion’s (FFOZ’s) Torah Club series, I continue to have my doubts that we can fulfill the imperative of Deuteronomy 4:6, or that God intended us to satisfy that directive by going to classes. I think what we were supposed to do is observe the Laws of Israel in action and to derive the wisdom of God and the understanding of the Jewish people by observing their behavior. The “behavior” of the Jewish citizens of the modern state of Israel is under constant criticism by most of the world these days, and almost no one is praising Israel as “a wise and understanding people.” It is also true that the majority of the Jews in Israel today are not religious and portions of those who are religious seem to demonstrate behaviors that seem hostile, aggressive, and even violent at times. On top of all that, we have a subset of Christianity who feels that they are able to redefine Judaism in their own image and even insist that Jews do not have the right to define their own observance or establish their own authorities. In that light, Christians who have little or no experience in Jewish studies will indeed struggle to understand where and how to study Torah in a way that will be meaningful for them. As for me, I tend to “dabble” in Jewish studies. 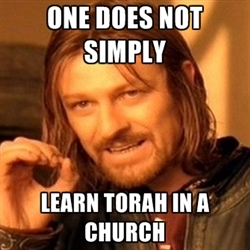 My opinion is that one cannot simply study the Torah and Talmud in isolation, however qualified teachers of Torah (so far, all of my face-to-face teachers have been Christians) are few and far between in my neck of the woods. Of course, if my sole purpose in learning Torah was to teach my Jewish children, I’m more than a few years too late. As adults, the burden of learning has been passed to my kids and my opportunities for contribution have dwindled to nothing. And yet, as we see, I have an obligation to learn Torah as a Christian for my own sake, for the sake of the Torah itself, in response to God, and perhaps even for the sake of unknown people who may observe me (or read my blog) and somehow may benefit. For many years Rabbi Sholom DovBer of Lubavitch suffered from ill health, compelling him to undertake many trips to various European healing centers to consult with medical specialists. There is an insatiable drive within me, and I believe it is shared by many others like me, to learn, to reach out, to explore, to stretch the limits of knowledge and understanding beyond the five senses, and beyond what the mechanics of the human brain may know. I strive to discover the world beyond the plain, black and white qualities of the known universe and to seek the textures and colors of the infinite and unknowable God, which cannot be detected by logic alone. This is why I believe we should all study Torah and sit at the houses of learning of the Jewish people, who have kept the Word of God for thousands of years before the first Christian ever rose from the dust of paganism to meet the God of Israel. It’s not a perfect world and we are not perfect people. Many Christians criticize what Jews teach and believe that they deny the reality of Jesus as Messiah and Lord. 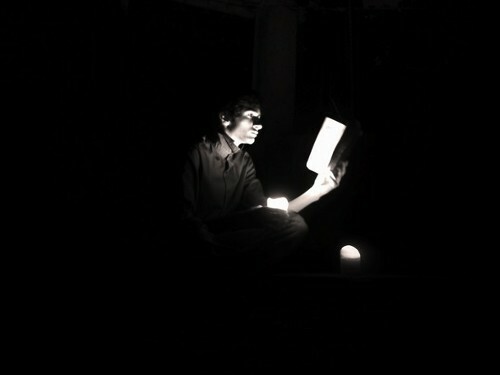 Many Jews do indeed deny that knowledge, but a growing number have come to both knowledge and faith. Where do we go to meet each other? Where is there a place where Christian and Jew may intersect and share a common God? Jesus taught upon the foundation of the Torah and I believe Moses would have understood him very well. …God will have to create a miracle. This miracle I believe, when it is brought about, will be another stone upon which the Mashiach will step as he hastens to return to us. May the Messiah come soon and in our days. My husband has been studying with a Chabad rabbi once a week for over a year, and this has got some members of our Messianic fellowship positively incensed. “How can you study Torah with an unbeliever? !” they say to him, completely discounting the fact that a Jew NEEDS this connection to his past and his heritage. The rabbi doesn’t know my husband loves Yeshua, another difficult for our chavurim. But the interesting thing is that my husband is actually teaching Torah to this young rabbi, who is mainly versed in Talmud and has rarely read through the parashot in English. It is absolutely relevant, Anne. I completely agree that Jewish people need to be part of the Jewish religious and cultural community. You’ve hit the nail on the head. Thank you and Good Shabbos.